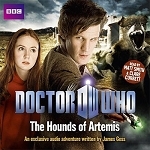 Catherine Tate reads this exclusive thrilling story, in which the Doctor and Donna take on a race of dangerous bloodsucking aliens. When the sky rips open somewhere over Dover, two objects hurtle out of the Vortex and crash-land in the sea. One is the TARDIS, out of control and freefalling - but the other, a mysterious crystalline sphere, is far more sinister. The Doctor and Donna are rescued and taken to a secret command centre in the Dover cliffs. It's May 1940, and Vice-Admiral Ramsey is about to finalise one of the most daring plans of the Second World War: Operation Dynamo. But something else has got inside the War Tunnels, a parasitic Nemonite from the crashed sphere. Its aim is to possess all humans and spawn millions of young. The Doctor and Donna must fight for their lives in order to save both Operation Dynamo and the world at large. 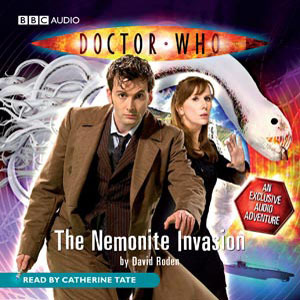 "The Nemonite Invasion" features the Doctor and Donna, as played by David Tennant and Catherine Tate in the hit BBC Television series "Doctor Who". 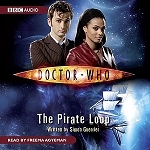 Written specially for audio by David Roden, it is read by Catherine Tate.